Dubai, UAE: Gulf Air, the national carrier of the Kingdom of Bahrain, establishes partnership with Finesse for the implementation of a sophisticated Business Intelligence solution using Qlik, one of the market-leading products in this field. Finesse has been selected by Gulf Air as a strategic partner to define a robust Business Intelligence platform to be used across the airline and to implement enterprise-level dashboards and reports. Such platform will also perform complex scenario-based analysis, to create visualization of data and view reports and dashboards in all forms across devices. This initiative comes as a part of Gulf Air’s IT strategy and roadmap to use Business Intelligence platform to provide better and enhanced visibility and insights on the airline’s operations, and Finesse with their long and successful experience in this regard will constitute a valuable input in this direction. To meet Gulf Air’s requirements for an enterprise-wide Business Analytics solution, Finesse proposed the Qlik Sense Business Intelligence tool. The Associative Data Indexing capability which enables the user to explore relationships between Data derived from various sources, highly intuitive interface, wide selection of charts, unique color cues – all make it the most well suited platform to analyze and visualize data. Dr. Jassim Haji, Director Information Technology in Gulf Air, said: “Driving insights and information from data is the key for strategic and tactical business decision making. With such Business Intelligence solution, we will bring different data sources together to provide unique actionable knowledge that will help the airline to monitor its business operations and make the right decisions on a timely basis which is critical for the airline’s sustainability. 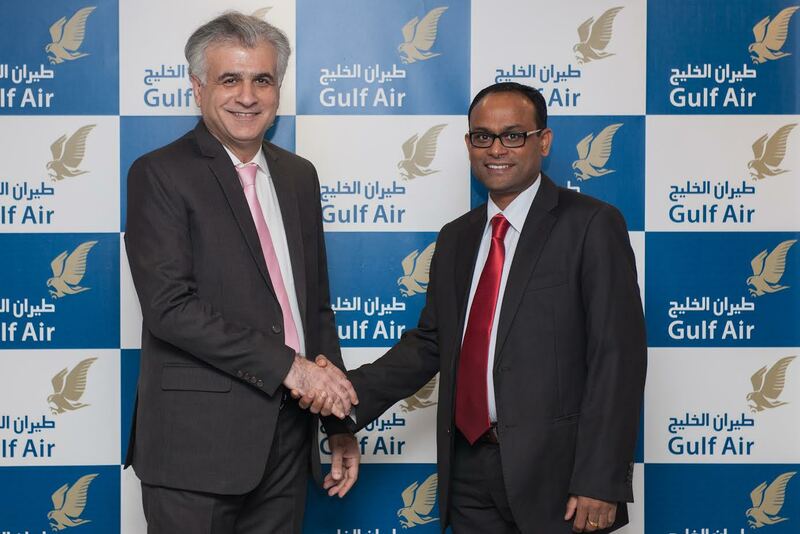 This initiative will leverage Gulf Air’s Hybrid Cloud for fast and quick implementation and will complement the existing Big Data solution to achieve the highest level of sophistication in business analytics from internal and external data sources for our business users”. Business Intelligence & Analytics is a core practice at Finesse with over 300+ person years of experience in implementing BI & Analytics solutions across industries and technologies. Finesse offers premium quality services in the Business Intelligence & Analytics domain and closely works with their customers by providing them services on both on-site and off-shore delivery models. Our BI services covers the entire spectrum of BI implementation ranging from designing the BI Strategy, drafting the implementation roadmap and helping their clients with the selection of right tools, deployment and business continuity support. Gulf Air, the national carrier of the Kingdom of Bahrain, commenced operations in 1950, becoming one of the first commercial airlines established in the Middle East. Today, Gulf Air is a major international carrier serving 40 cities in 23 countries spanning three continents. The airline operates one of the largest networks in the Middle East, with double daily flights or more to 10 regional cities, in addition to select destinations in the Indian Subcontinent and Europe, from its hub at Bahrain International Airport. Gulf Air serves all its destinations with a combination wide and narrow body fleet totalling 28 modern aircraft. Renowned for its traditional Arabian hospitality, evidenced by the airline’s signature family and business friendly products, Gulf Air is committed to being an industry leader and developing products and services that reflect the evolving needs and aspirations of its passengers.